GM Chen Zheng Lei’s Tai Chi warm up exercises, Silk Reeling, Qigong exercises, 18 Short Form and instruction, Sword Form and instruction. GM Liming Yue’s 8 Short Form and instruction, Sword Form and instruction, Laojia Long Form and instruction. There are 7 other free video links to watch as well. Select Sign up and click on Platform Member which is £18/year. Select View Basket and apply Coupon code:- 049nick to get 10% discount (£16.20). Update your Basket, then proceed to Checkout and complete the rest of the payment and other info requirements. If you have any doubts or questions, please ask in class. Categories: Tai Chi Practice, Tai Chi Workshops | Permalink. Alda of House of movement has been really busy training in Manchester, polishing the different forms that she knows, learning new things, liaising with other instructors to bring you further training, and finding the confidence to know that she can offer high standard tai chi classes in Dublin. Alda had to turn down a few students in the previous courses organized due to lack of spaces available, so now she has decided to open a new tai chi for beginners course. Wednesday Evening – Tai Chi 11 Form Classes – Book now! 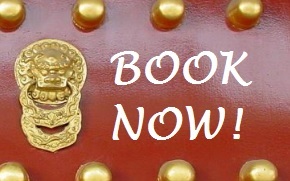 For more details about the venue or other courses (including qi gong courses), click here. Wednesday Evening – Mawangdui Daoyin Shu Qigong – Book now! Categories: News, Qi Gong Workshops, Tai Chi Workshops | Permalink. I first met Master Liming Yue in Manchester in October 2010. I was very afraid because it was the first time that I was training with a Chinese master and I knew that he will see all my mistakes. I was also planning to be accredited as a chen style tai chi teacher and I had been training hard, but I knew I still had a lot to learn. I was in bits. The training was intense and he was serious and thorough. I learnt so much! After that, with sore legs and an accreditation in my hand, I met Liming, the man. The weekend ended with a Chinese meal in China Town in Manchester with a couple of instructors. I didn’t stop laughing. He explained that he would like his students to become friends. This gave me an idea of who he was: a serious instructor, a warm man. I smiled and thought that I had found my next tai chi home. Over the years, Liming has been telling me stories about the tai chi world he discovered in China and his stories fascinate me. He started to train as a child in Shaolin martial arts, and being impressed by one tai chi practitioner decided to train with the masters in the Chen village (home of tai chi) to continue his journey. He tells his stories with a soft voice in a childlike tone full of life. As the Chinese proverb goes “Teachers open the door, you enter it by yourself”. Master Liming opened a door to chen style tai chi and health qi gong for many of us. And we are friends. Every time I go to train in Manchester or Loughrea, I know I will meet some of my tai chi friends, and my heart lightens. On Friday, 24 February, he will be teaching in Dublin, and I can’t wait to introduce him to my tai chi students, maybe some day his new friends. I am just back from an amazing weekend training with him in Manchester, and I would like as many people as possible to access his teachings. If you are reading this, think about coming to the workshop. It is a great opportunity to train with a great teacher and meet a wonderful man. Only about a month earlier, I was recalling some of the events which marked 2011. Now, we are in 2012 and a Chinese New Year has began – the Year of the Dragon. House of movement is getting ready for a new year full of tai chi news and events. South William Space: House of movement’s regular classes are being held in the South William Space, 27 South William Street, Dublin 2. Open Mind Yoga: HoM will also use Open Mind Yoga studios for some workshops. Parks: Last year, free tai chi in the park practice was organised in the Iveagh Gardens. When Spring knocks at the door, we will go back to nature. 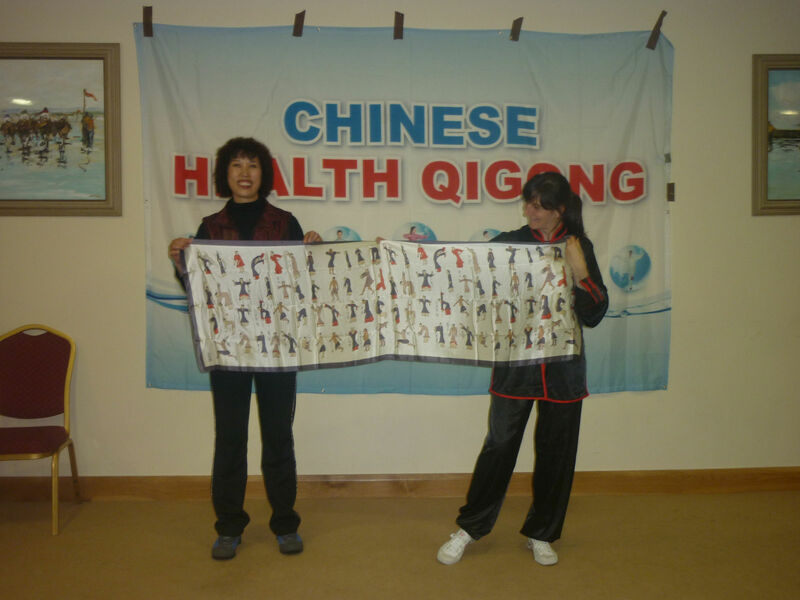 Ireland Tai chi and Qigong Association — House of Movement belongs to this association, which is becoming more active and strives to promote quality tai chi and qi gong training everywhere in Ireland. The association includes tai chi instructors from Clare, Galway, Cork, Tipperary, Limerick, Dublin, etc. See our Facebook page and become a fan here. A tai chi & qi gong international event will be organised during the year. Watch this space! February — Friday 24th at 6-9pm– With Master Liming Yue. Open to absolute beginners. 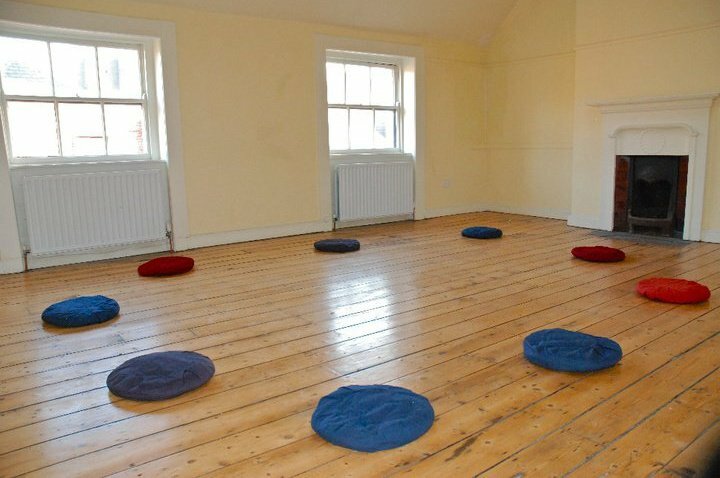 Open Mind Yoga, 95 Pearse Street, Dublin 2. More details here. March — Friday 16th at 6-8pm — Health Qi Gong — Ba Duan Jin — South William Space. This is part of the affordable workshops at €15 for students in the mailing list only. If you wish to become part of the mailing list and get updates about these workshops, contact Alda. There is no celebration without a party and there is no party without a surprise, so let us leave this section blank. It is a pleasure to be part of this house which is moving thanks to you.